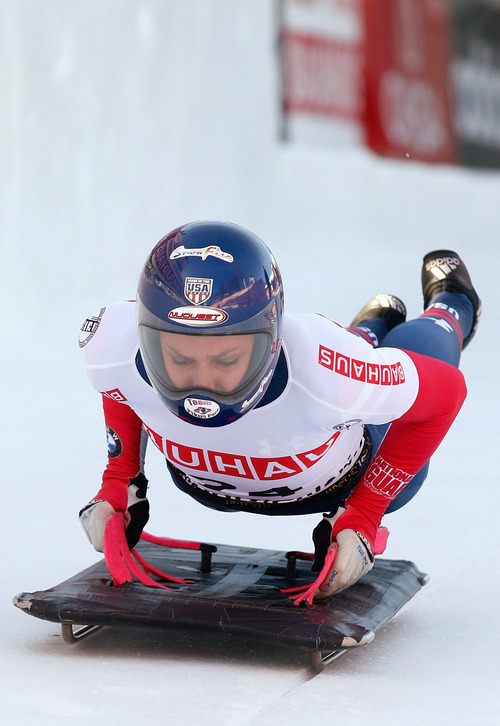 She didn&apos;t win the world title, but Utah&apos;s Noelle Pikus-Pace was thrilled to hold onto second place at the world championships for women&apos;s skeleton Friday in St. Moritz, Switzerland. "What a great day," she said. "I felt so much better today and I am excited to be on the medal stand. This has already been such an amazing year." 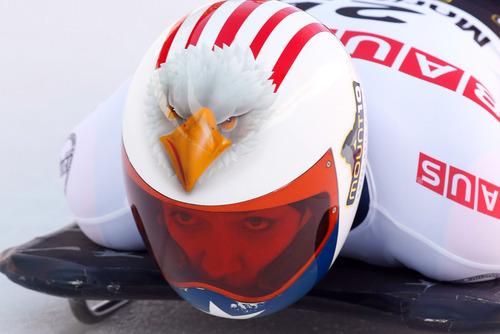 The 30-year-old Orem native and Eagle Mountain resident enjoyed her best finish in six years at the world championships, near the end of her first season back on the international circuit following a 2 1/2-year retirement to start raising her children. She wasn&apos;t able to overtake Great Britain&apos;s Shelley Rudman for the victory, but she did clock the fastest times in the final two heats of the four-heat race to impressively make up nearly half of a 1-second deficit following the first two heats Thursday. "I got in my own way and wasn&apos;t able to perform my best yesterday, which is disappointing," Pikus-Pace said. "I&apos;d be OK finishing second or even last if I knew I&apos;d competed at my best, but it&apos;s tough knowing I left something behind. I finally got out of my own way today and gave it everything I had. I know what I&apos;m capable of now, and it just makes me even hungrier to win next time." Rudman clocked a four-run combined time of 4:38.60 to become the first British champion, with Pikus-Pace second in 4:39.17 and Canada&apos;s Sarah Reid third in 4:40.01. 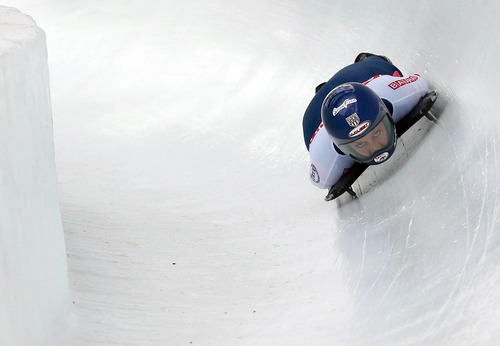 Pikus-Pace returned to her sport with modest expectations, but she has won gold, silver and bronze medals on the World Cup circuit, helped the United States win the combined team event in St. Moritz last weekend, and now has a silver medal at the world championships to go with her gold from six years ago. Clearly, she has established herself as one of the favorites for the 2014 Sochi Olympics in Russia. "I was really focused on being consistent this season, and I&apos;ve been on the podium for every race so far in 2013," Pikus-Pace said. "I&apos;m really pleased with my results and I know I can be competitive with the best in the world. I&apos;ve raised the bar for myself at this point and expect to be at the top." 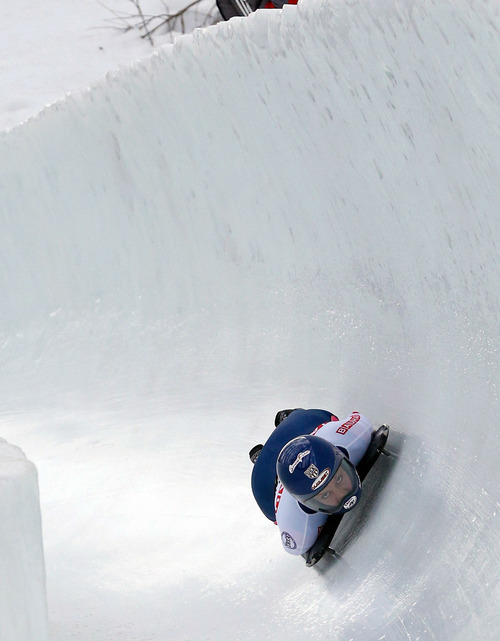 Park City&apos;s Steven Holcomb will aim to defend his four-man bobsled championship starting Saturday in St. Moritz, but the decorated pilot is coming off two unexpectedly poor performances in his famous "Night Train" sled, and has never finished higher than fourth on the St. Moritz track.